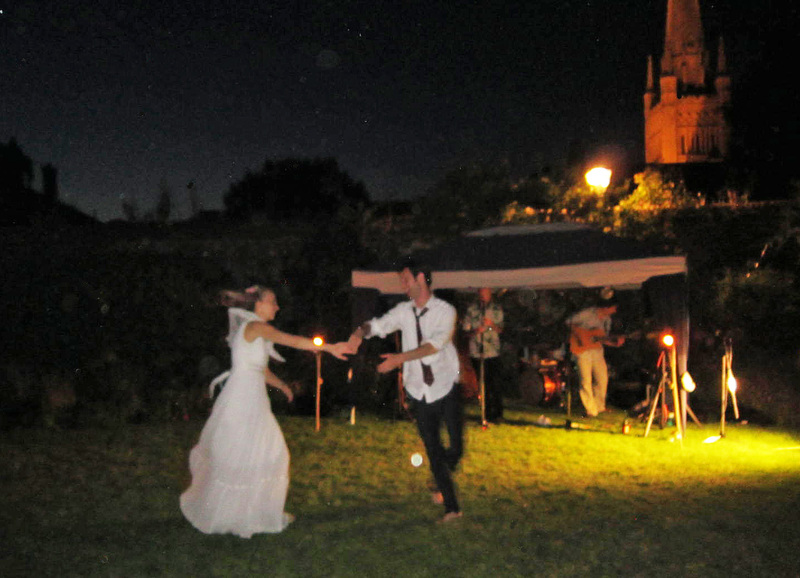 Thanks to go Molly for this lovely picture of the bride and groom dancing in the Cathedral Close with with Eastern Straynotes and the spire of Norwich Cathedral in the background. It really was a beautiful evening, certainly the warmest of the year, and this was the perfect way to spend it. The happy couple are moving to Honeysuckle Rose - their choice for the first dance of the evening. It wasn't long before others joined them as the band played one of their hottest, most infectious jazz and klezmer sets ever.